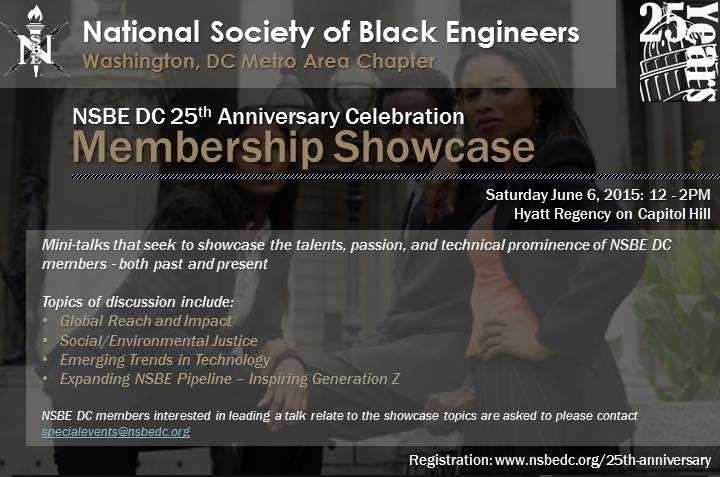 The Membership Showcase puts the the spotlight on NSBE DC members. Done in the style of TED talks, these mini-TED talks seek to showcase the talents, passion, and technical prominence of NSBE DC members - both past and present. Come join in the conversation and find out just what impact our members are having in the community. This event is FREE and EVERYONE is invited!